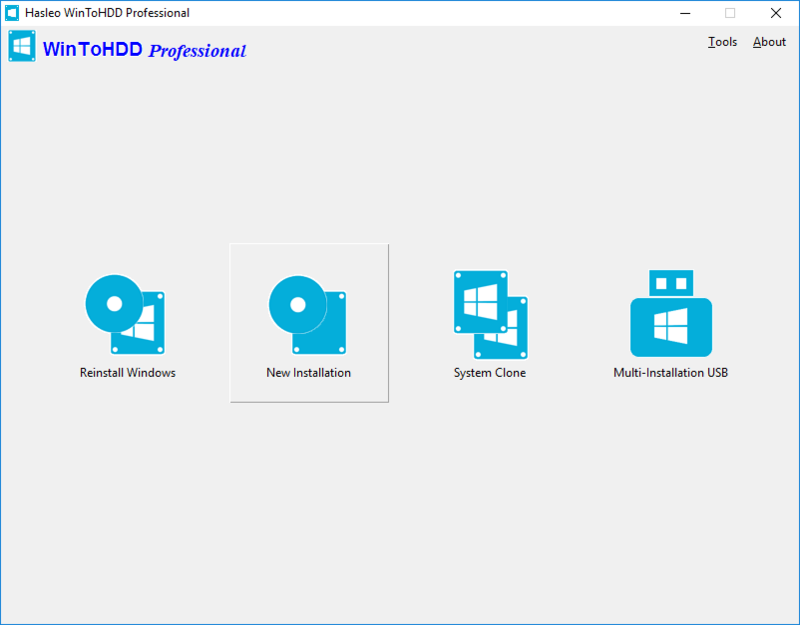 WinToHDD is a handy and useful Windows software that allows you to install or reinstall Windows 10/8.1/8/7/vista/2016/2012/2008 without using a CD/DVD or USB drive. WinToHDD is a handy and useful Windows software that allows you to install or reinstall Microsoft Windows 10/8.1/8/7/vista/2016/2012/2008 without using a CD/DVD or USB drive. With this All-in-One Microsoft Windows Setup application, you can easily reinstall Microsoft Windows, install Microsoft Windows onto disks other than the one where your Microsoft Windows operating system is installed, or clone current Windows OS installation (Windows vista or later) to other disk.System requirements:Windows Vista/2008 or later (32/64-bit).Intel® Pentium® processor.1GB of available RAM (2GB or more recommended).500MB of free space on your hard drive.1024x768 graphic device (higher resolution recommended). Optimize your PC, make it cleaner and faster with Ensembles for Windows 10. Keep what you do on your computer private with this security suite. Ensembles for Windows is a set of 15 power tools that help you remove junk and obsolete files.